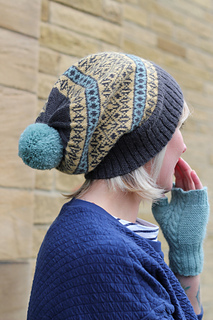 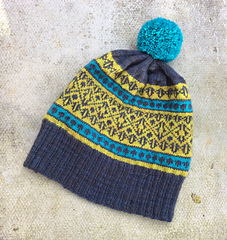 Three fresh colours stripe around this slouchy hat in alternating colourwork patterns. 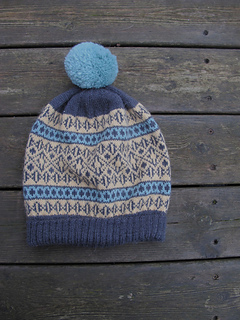 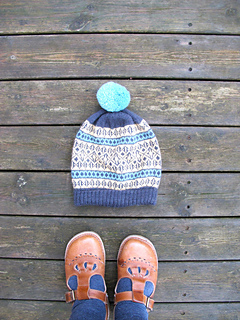 A squishy pompom is the prefect finish. 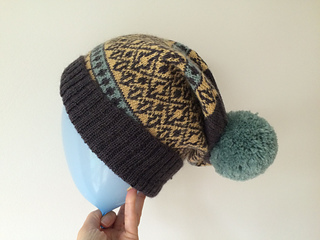 Sample shown has 61cm 24in hat body circumference.